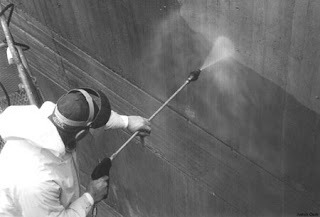 We provide commercial pressure washing for the greater Baltimore, Maryland. 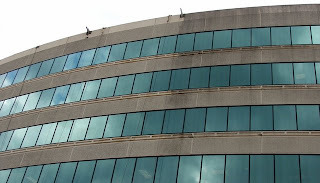 Our commercial pressure washing service in Baltimore, Maryland features high rise pressure washing capabilities. We pressure wash concrete, pre-cast stone, and limestone to name a few surfaces that can be effectively cleaned. When we pressure wash brick, the surface typically looks brand new, surprising our clients. Other pressure washing contractors who also power wash brick, don't usually have the experienced pressure washers like we have to get the job done right. We often use chemical while pressure washing brick to get off efflorescence and other types of mineral staining from the surface of the prick. When you pressure wash brick without pressure washing chemicals, sometimes not all of the staining is removed.